With grateful thanks to Janice Tyrrell for creating this beautiful art for Ace's song. 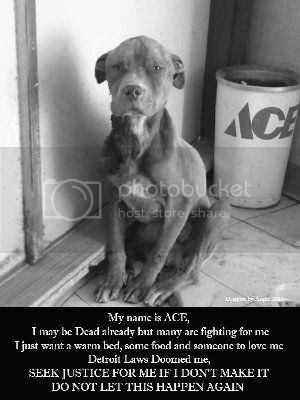 This is a song for Ace, an emaciated pit bull who was not given a chance to recover or to be adopted and have a happy life after he was taken to animal control when he was found by the owner of a hardware store, as a stray. 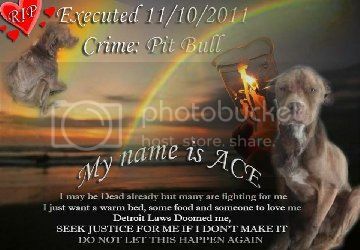 Ace was suffering and weak from starvation yet he was denied a future because of archaic breed specific law in Detroit which directly discriminates against dogs of his type. 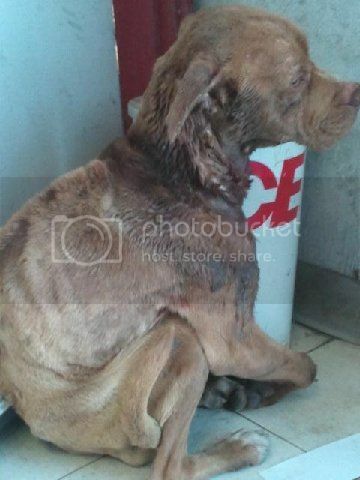 Wherever BSL exists there will be injustices and cruelty such as this. 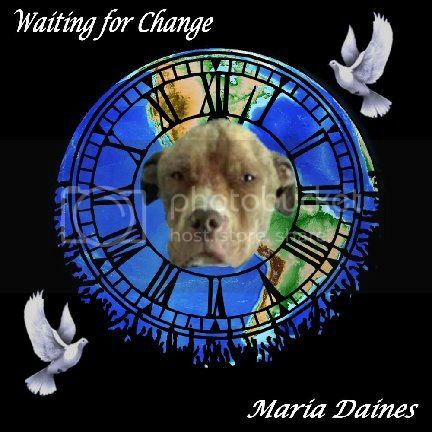 BSL doesn't work, it causes heartbreak and means innocent healthy dogs are killed simply because they look a certain way. These heartfelt words were written by Mark, the owner of the ACE Hardware store that Ace the dog wandered into. Mark is maybe the last person to personally give Ace care and love unreservedly, while he was still alive. ‎"Dear Ace, you came into my lobby, crouched behind my door and stared blankly at the wall, shaking. I could see your pain - I fed you, warmed you and you rewarded me by finally looking into my eyes, and for a moment, we shared your pain. I reached for the phone, thinking that I could find you a better life... Instead I sent you to your death. Please forgive me. You did not die in vain, nor will you be forgotten. This I promise you. Your last but far from only friend." How could anyone not see your pain? And the whole world's waiting for change, change! For every wrong there is right, right, right! "Ace" may your passing not have been in vain, it is just one more testament to how cruel and heartless humans can be towards one of GODS beautiful creations. RIP dear one, run free...run free. and only met with a cruel fate. of your kind and bring love to bear. You ARE loved and always will be by many more millions than you could ever have imagined. You will be avenged. For now, we know you are in a better place. Rest, sweet soul, rest. And the little girl smiles! Was it my looks or my age?